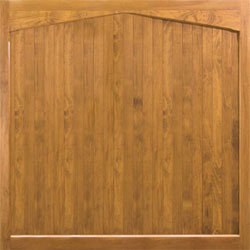 Woodrite Thetford Range of Accoya® Wooden doors. Accoya: The ideal timber for windows, doors, decking, structural products, playgrounds, bridges and cladding for various impressive buildings worldwide. Essentially the timber of the future, Accoya ticks all the boxes for sustainability, the environment, performance, visual appearance and longevity. The timber Accoya is as a result of the advancing acetylated wood technology, a process that has been studied by scientists around the world for more than 75 years, producing astonishing results and modern day benefits to construction work. 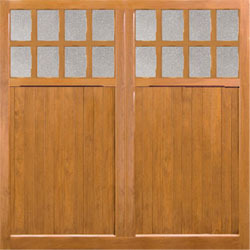 What are the Benefits for Garage Doors? In regards to the garage door industry, Accoya is the ultimate timber; its stability increasing the lifespan of all external joinery products, adding an additional ten years to the average 50 for maintained hardwoods. The sheer hardness of the timber makes it less susceptible of denting or damage, therefore improving the longevity of the products. Its low maintenance makes Accoya significantly cost effective and environmentally sustainable. 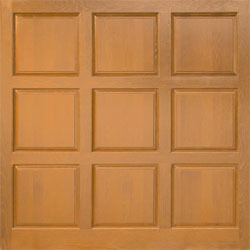 Not only this, Accoya is the perfect timber for painting! The hard and consistent structure produces a much finer finish after sanding than comparable timber species, and the lack of absorption of water from the paint means that the final finish quality is better than for hardwood, as well as far more durable. 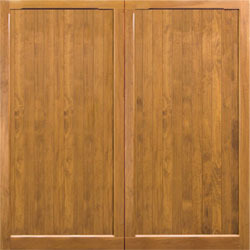 An even greater finish is possible by using undergoing a grain fill process prior to painting. 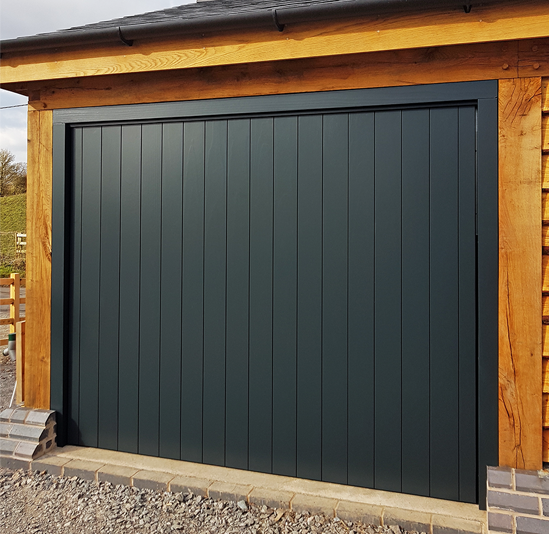 We have developed a great working relationship with Woodrite who manufacture quality Accoya up and over and side hinged garage doors; in fact, their Thetford range comprises entirely of Accoya doors! Accoya timber can be grown in 25 years, but will last 60 years in application – this makes it a net absorber of CO2 and an incredibly green building material. Its existance is as a result of the acetylation process, meaning that Accoya has been modified right through to the core, increasing the timber's strength whilst not compromising its bending properties. As the timber is only sourced from forest's where sustainability is high and closely monitored, and due to its supreme durability, Accoya is surely the best timber available in regards to the environment. 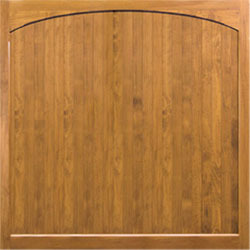 Of course, the wood is non-toxic and entirely safe for both humans and pets! The timber species commonly selected to process into Accoya is radiata pine, as this is a softwood species that grows rapidly. 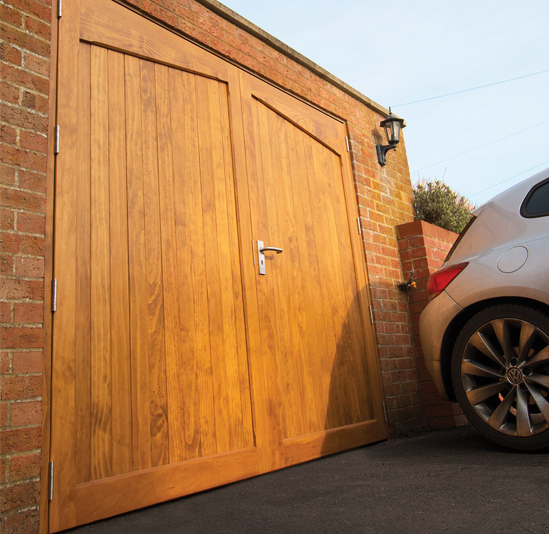 Here at The Garage Door Centre, we recognise the importance of all exterior timber doors being durable, easy to maintain and dimensionally stable, all to prevent doors potentially jamming during bad weather and changes in air moisture. Accoya is the perfect solution for exterior cladding and façades where aesthetics, little maintenance, durability and insulation value are always key factors. Plus, it can be opaque coated in a wide range of colours, or for those wishing to enjoy the natural look of timber, translucent coated. 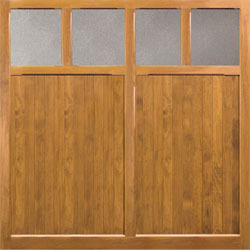 For window frames, Accoya wood is the material of choice. 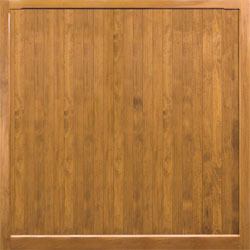 Not only does it have extremely low thermal conductivity but it matches or exceeds the durability and dimensionally stability of the best tropical hardwoods available.